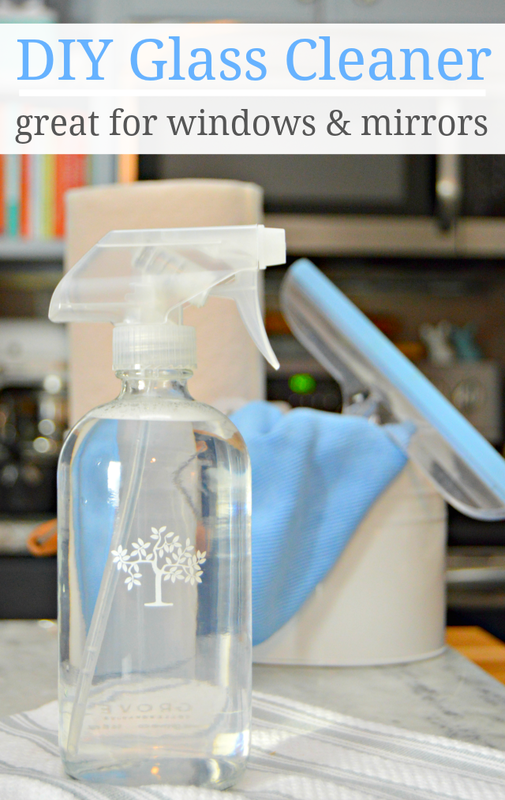 This DIY Glass Cleaner is so easy to make, and will leave your glass surfaces, windows and mirrors sparkling clean and streak free too! I’ve shared a couple of different recipes for glass cleaner over the past few years, but this one is new to me, and works so much better. It leaves my windows, mirrors and glass on all of my framed photos streak free and so clean! You only need a few household ingredients to make your own! Bonus: It’s super fast drying…that’s why there are no streaks left! 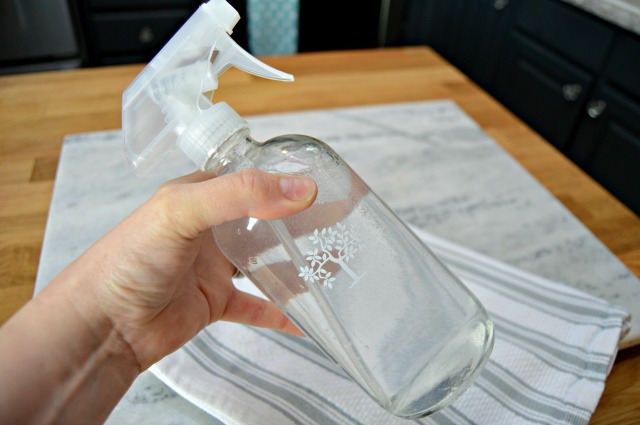 Start by filling your spray bottle with 2 cups of water, then add 2 drops of your favorite dish liquid. 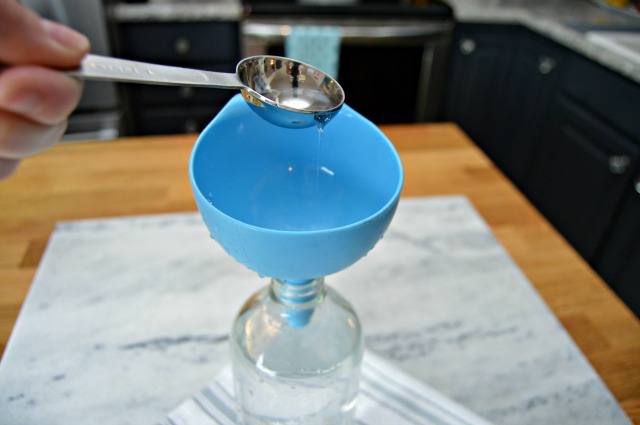 You can find my recipe for Homemade Dish Liquid HERE! Next, add 1 Tablespoon each of white vinegar and rubbing alcohol. Replace the lid on your spray bottle and shake well. I like to shake mine before each use in case of any separation. 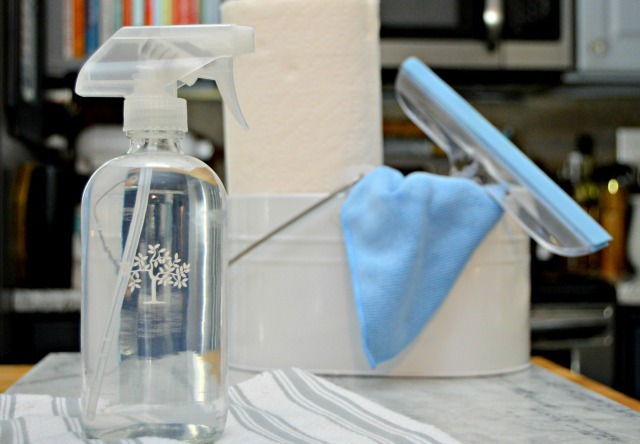 To use, simply spray a microfiber cloth with your glass cleaner and wipe your surface clean. For windows, I like to spray down the surface of my window, then use a squeegee to wipe the window cleaner and any dirt off of the window. I use a paper towel to clean my squeegee in between swipes. My windows and mirrors have never been so clean and streak free! I was impressed with your cleaning supplies from Grove, I went to their website and placed an order. However, I was not able to pay and checkout. All I got was a “gear wheel” that just kept turning. I emailed the company to find out what to do, but have not received an answer. That was yestrday (Thursday.) I tried it again today and same thing happened. Any advice? Love your cute little Boston Terrier! My nine (9) year old BT passed away last April. My husband of thirty-three (33) years had passed away in January and then I had to b e hospitalized for emergency surgery in April and Sugar apparently thought her world had ended with both Mommy and Daddy gone. She went and laid down on her bed and passed away. I still miss her so much. They are awesome little dogs and most of them prefer to be with people than be with other dogs. I’m thinking I’m ready for a new B T puppy, but they are sooooo expensive. I would get a rescue BT, but I love, love, love the puppy stage. It is soooo awesome and they are soooo cute. 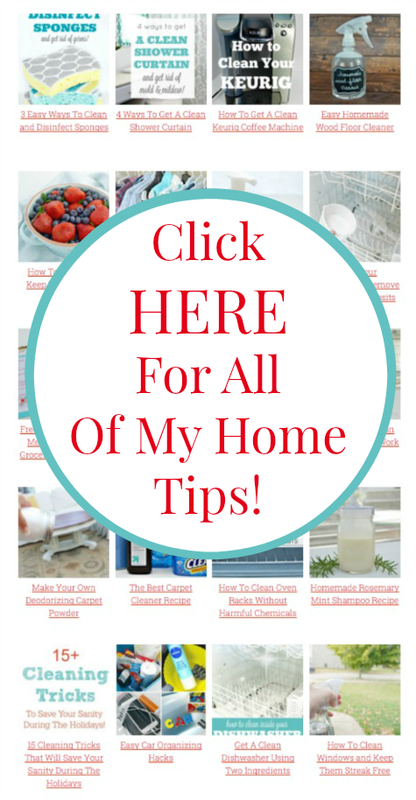 Thanks for all your helpful homemade tips!